Reach Beyond in Australia commenced broadcasting using shortwave to the Asia Pacific region in 2003 – although until 2014 the station was known as HCJB Australia. Consistent with Reach Beyond’s international broadcast licences, Asia Pacific broadcasts reach countries in South Asia, South East Asia and East Asia. Regular programming for the South Pacific concluded in October 2015 but is subject to future opportunities. Strategically, our programming priority is South Asia (India in particular), Myanmar (formerly Burma) and Japan – but this does not exclude other destinations. As well as being identified on air as ‘Reach Beyond Australia’ we also use the tag line ‘Life Changing Radio.’ This expresses our desire that individuals, families, communities and countries will be changed for the better – first spiritually by lives transformed as followers of Jesus but also practically as listeners receive programs covering family life and health issues. For maximum understanding, the gospel is best received in the heart language of the listener. For this reason Reach Beyond engages with trusted ministry partners to provide many non-English language programs. We are passionate about working with program partners because most are far better placed to understand the language, customs and culture of the intended audience. 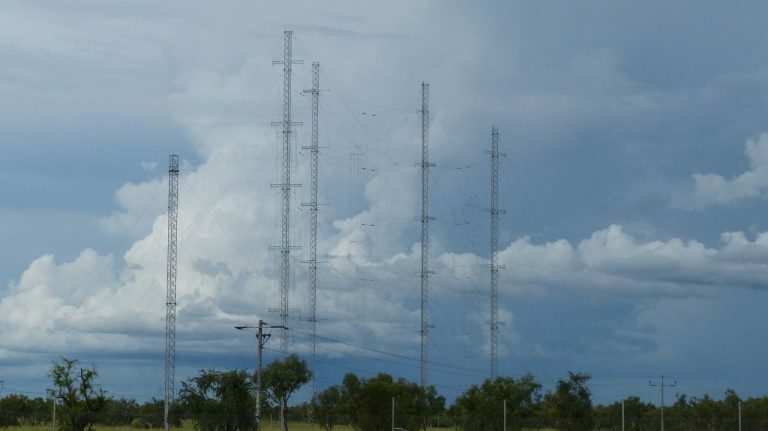 While shortwave broadcasting is great value for money when the potential reach of a single program is considered, yet it is an expensive media operationally – the big expense being electricity for the 100 kilowatt high power transmitters necessary. Some program providers help to share the cost of broadcasting but most cannot being ministries in developing or poorer countries. Reach Beyond in Australia therefore looks to God to encourage people in Australia who can provide financially to keep programs on the air. While we are part of a world-wide organisation, Australia is responsible to financially sustain its own operation. We welcome you to join us in broadcasting Life Changing Radio to the Asia Pacific region. As of the A19 Schedule, Reach Beyond Australia broadcasts 61 hours of programming per week in 30 languages. Please contact us if you would like to receive updates of our Broadcast Schedule via email. Unlike local MW or FM stations that often broadcast for long periods of the day and night, shortwave stations broadcast at times when listeners are available – usually early morning and evening – and importantly when propagation conditions are favourable to allow the signal to reach the desired audience. For this reason, Reach Beyond in Australia will broadcast on different frequencies depending on the time of day and time of year as sunlight has a major influence on the ionosphere, a charged particle layer around the earth which reflects shortwave signals back to earth. Large high gain antennas are used to direct the transmission signal. Some antennas can cover several countries at once whereas other specialty antennas radiate a selective narrow beam to provide maximum signal strength for particular listeners. The frequency required to be used will determine which antenna is selected. In general, day time transmissions use higher shortwave frequencies while evening and night transmissions tend to be on lower bands. The shortwave spectrum is broken into various wavelength bands (frequencies) which are available to all international broadcasters. Frequency managers of these stations meet somewhere in the world twice a year to negotiate frequencies so the possibility of interference with one another is minimised. The Parabolic Antenna can be directed at different parts of Asia, including countries such as India, Myanmar (Burma) and Japan. A collection of simpler Dipole Antennas, shown below, provides coverage of Asia as well as the Pacific Islands. Partners include established teaching ministries like Christianity Works, our long-time partners Genesis Media, and itinerant pastors working in rural Asia.